In an effort to make up for the table in the corner with the stuffy air, the owner at Cong Ly cracked a bunch of jokes with us while taking our order. Nothing worth mentioning in English. 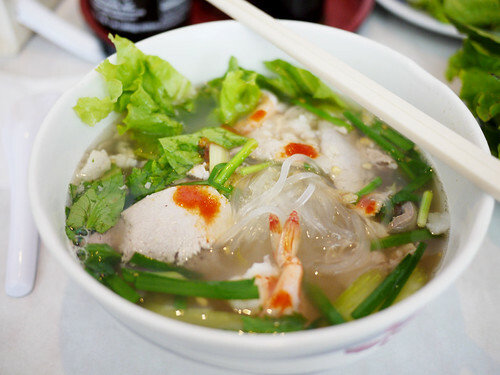 There were no quail eggs in the hu tieu my tho soup today but the rest of the bowl satisfied anyway.